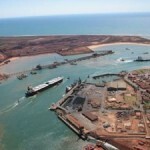 Rio Tinto has confirmed that a fire broke out at the Port of Dampier in the Pilbara, Western Australia. Rio Tinto will advance its subsidiary company Richards Bay Minerals (RBM) through the construction of the Zulti South mineral sands project in South Africa. Marking its tenth year, Immersive Technologies recognises the most outstanding results achieved by mining companies utilising simulation as a key driver in the business improvement process. Antipa Minerals is set to accelerate its 2019 exploration programs and pursue broader gold-copper potential analogous to Rio Tinto’s Winu discovery in the Paterson province of Western Australia. BHP expects to lose around six to eight million tonnes of production due to closures at Port Hedland in the wake of Tropical Cyclone Veronica. Australian Mining’s top five stories of the past week included plans to restart the Gregory Crinum coking coal mine, Wesfarmers’ bid for Lynas, the impact of cyclones on mining operations, and more. Rio Tinto has reopened all of the operations in Western Australia and Queensland that were temporarily closed in anticipation of the cyclones on both sides of the country. Rio Tinto made it to Boston Consulting Group’s annual list of the 50 most innovative companies worldwide for its use of artificial intelligence and platforms. Major miners Rio Tinto and BHP are gearing up in preparation for the cyclones on both the west and east coasts of Australia. 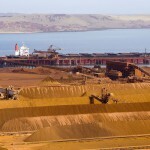 Three mining companies have taken a podium finish in IBISWorld’s list of the top 1000 companies in Australia by revenue.